We posted this during Black Friday, but if you missed our post here it is again! 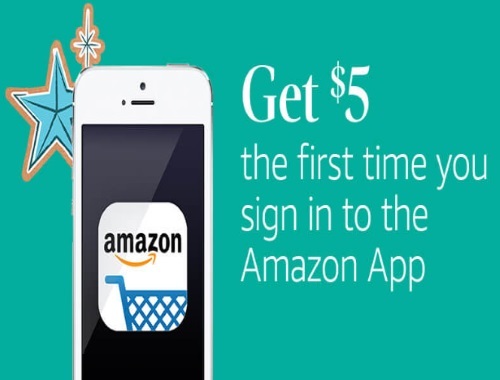 Amazon is offering $5 the first time you sign in to the Amazon App! 2. Open the app and sign in with your existing Amazon account ID and password between November 17 and December 2, 2017. Code must be added to Shopping Cart, and offer will be reflected at Checkout. Promotional code expires December 31, 2017.